If you’re unaware, there are two super-cool things happening in the machinima world in November. Machinima Filmfest in New York. If you’re interested in presenting your piece for a variety of awards including Best Short, Best Writing, Best Director, etc., you’d better get cracking. Machinima Expo takes place in Montreal the very next week. There, selected works will be displayed to an audience of thousands. For those machinimakers out there, this is a great chance to get some exposure and if you’re in the area of these events, I’m sure they’d be cool to attend. I hope to attend Machinima Filmfest myself. While these aren’t for sale, you can still check out our other shirts that are available. Also, if you haven’t seen Meet the Sandwich yet, do yourself a favor and laugh your head off. 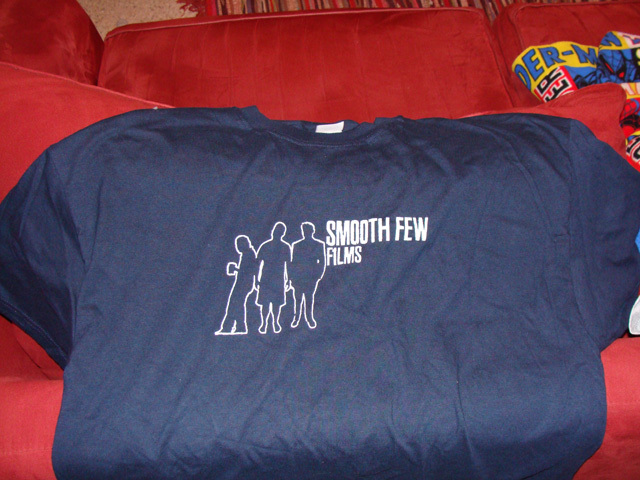 This entry was posted in News and tagged Machinima, machinima expo, machinima filmfest, meet the sandwich, pax, shirts, smooth few films, store on August 20, 2008 by Eddy. 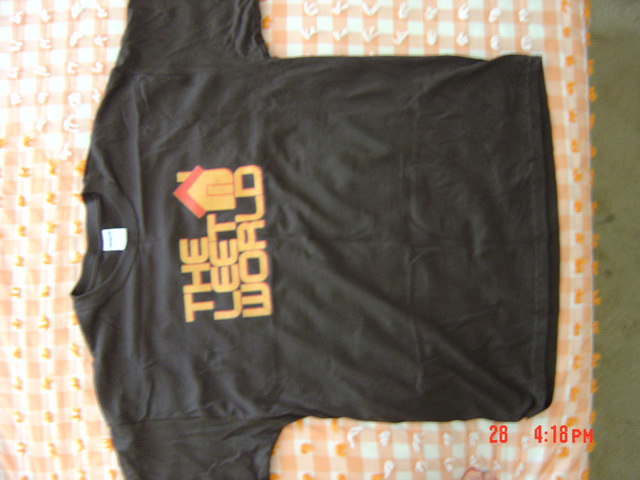 Almost as rare as the Duke Nukem Forever-a-saurus, but not quite, The Leet World t-shirts are beginning to roam around in the wilderness, spreading their good cheer. 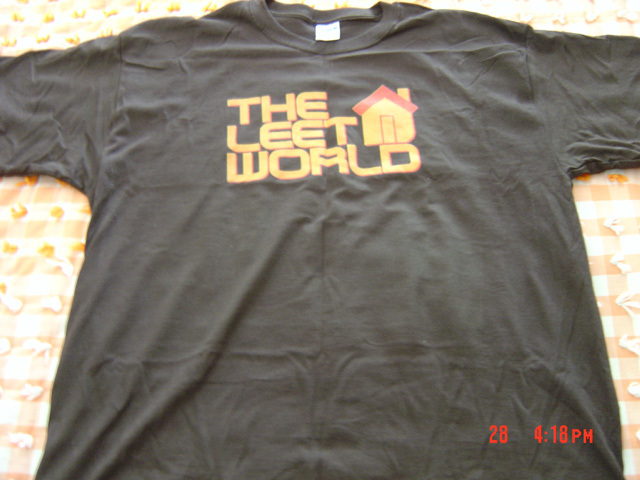 This entry was posted in News, TheLeetWorld and tagged commentary, Dirty Deeds, Episode One, episode two, Reality Bites, smooth few films, store, t-shirts, the leet world, tlw shirts on July 29, 2008 by Eddy. 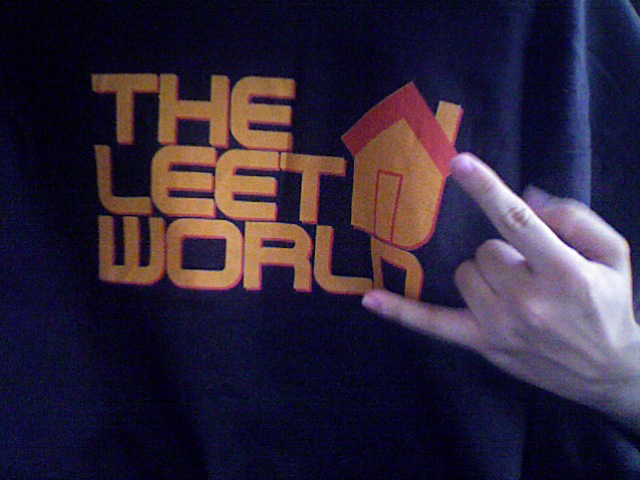 Introducing: The Leet World Store, where you can get your first ever TLW shirts! Right now the selection is pretty limited, but this is just a trial run. Currently, the only colors we can offer are red, white, military green, brown and charcoal for the guys, blue, pink and yellow for the ladies. I’m partial to the green and brown, myself. It should be noted that since we’re going through Cafepress (for now), any issues you have with ordering, delivery, etc, should be taken up with them. A quick note about the price/selection of the shirts… Our available merch is going to be limited at first until we get an idea of the demand. If it turns out that there is a big enough demand for these shirts, we should be able to offer a wider selection of shirts (catch phrases, etc) and have more flexibility on pricing. At the moment, we are limited as to what kinds of products we can offer and the pricing points we can set. This is step one in a several step process. Happy browsing! In other news, Jace is hard at work on the Season One soundtrack, and what I’ve heard is exceptional. In addition, the first episode commentary should be up within a couple of days. 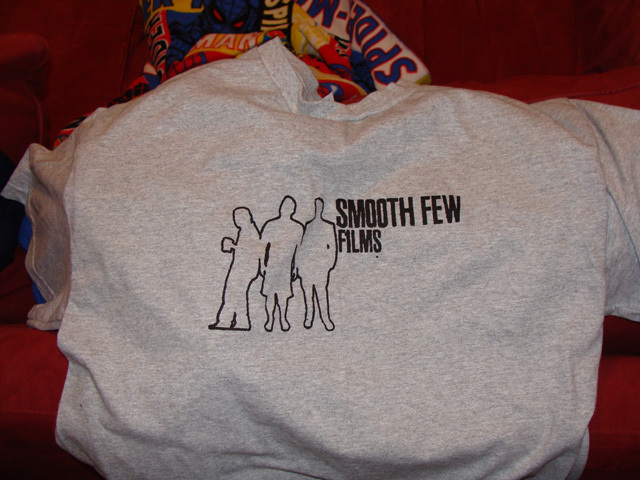 This entry was posted in Maintenance, News, TheLeetWorld and tagged cafepress, counter strike, leet world, shirts, smooth few films, store, t-shirts, the leet world, valve on July 22, 2008 by Eddy.